As a way to introduce itself to the community, Songs for Seeds, the award winning music program for toddlers, will offer free demonstration classes next week at The East Pointe Dance Studio, 11 Rye Ridge Plaza, in the Rye Ridge Shopping Center. Named "Best Music Class" by New York Magazine and "Most Magical Music Class" by Red Tricycle, Songs for Seeds will begin offering 10 classes for children (under 6-years of age) at The East Pointe Dance Studio starting on Tuesday, Sept. 20. Classes will be held on Tuesday, Wednesday, Friday and Saturday and the schedule is available here. 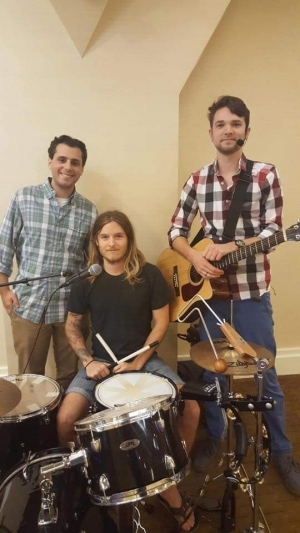 Songs for Seeds opened in Scarsdale one year ago and the program has been so successful that Goodman-Fisher decided to expand to Rye Brook. Songs for Seeds features 45-minute classes led by a three-piece live band of teacher/musicians who encourage kids to sing, play instruments, and dance. At the end of class, the students are invited to sing with the band (karaoke style) and play the band’s instruments (guitar, keys and drums). Each week the children experience music, instruments and language from a different culture. Magnetic art murals are created by the children during the sing-along of well-known nursery rhymes, magic tricks are used to practice numbers and counting and a wheel is spun to reinforce the names and sounds of animals. By mixing original kids rock 'n' roll with adult contemporary music, the band is sure to please little ones (and their adult parents! ).